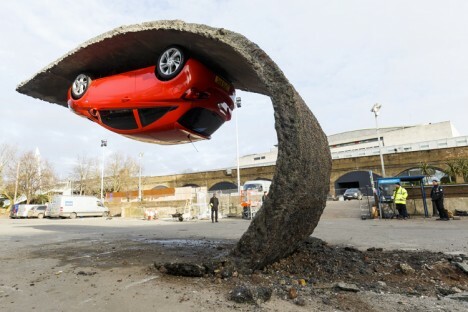 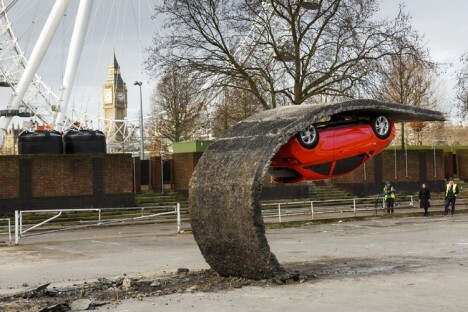 An upside-down, cherry-red car clings improbably to a slice of a concrete parking lot as it curls up over itself in this gravity-defying installation by British artist Alex Chinneck. 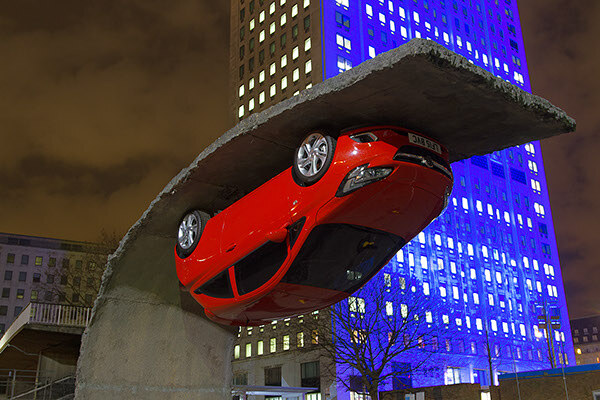 Hanging in mid-air with no visible supports, ‘Pick yourself up and pull yourself together’ is a collaboration with Vauxhall Motors located just outside London’s Southbank Centre. 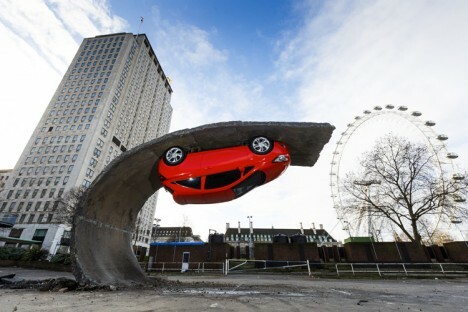 About 50 feet of the parking lot surface appears to have been peeled right up, with the vehicle hanging from its uppermost curve within sight of one of the city’s most iconic landmarks, the London Eye. 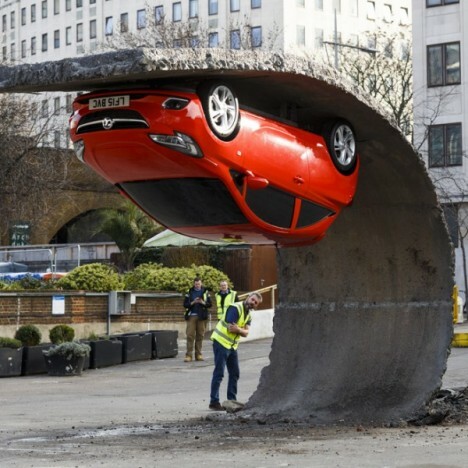 Hidden sections of steel designed by structural engineers hold the car in place.